Always a great way to spend the day when you are with kids. 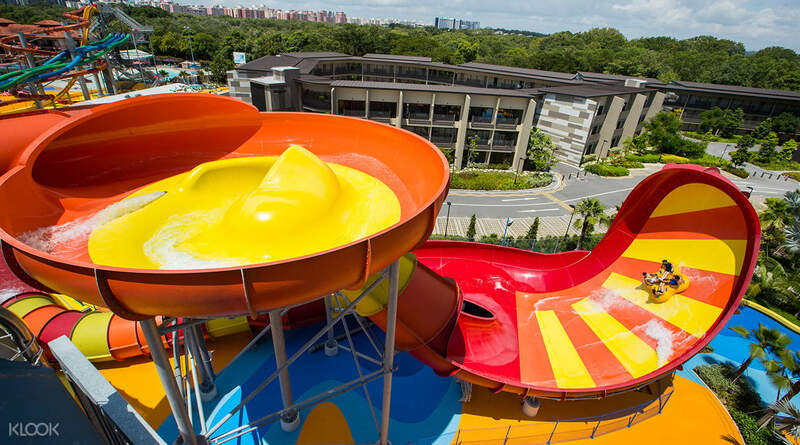 Wild Wild Wet is one of Singapore’s largest water parks that promises a day of thrills and spills for the whole family. Situated in Downtown East, at the eastern part of Singapore, it remains one of the most popular tourist attractions! 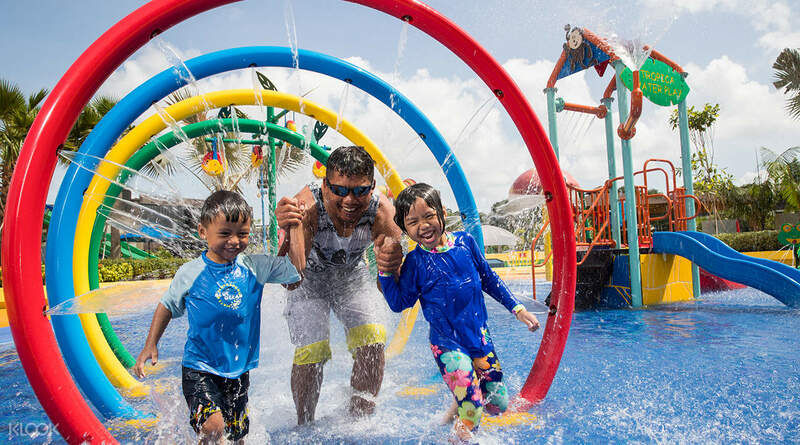 The impressively expanded park is now home to 16 attractions, with seven new additions such as Kraken Racer, Free Fall, and Kidz Zone, all of which promise to bring excitement to a whole new level for all! 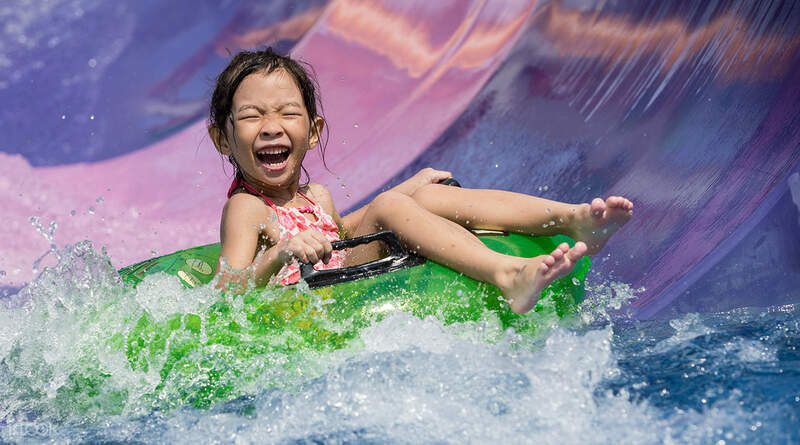 From adrenaline-pumping rides to relaxing and gentle ones, visitors are guaranteed a splashing fun-filled day! Amidst the fun, the guests' safety remains the top priority. All the lifeguards are specially-trained in stringent international standards for lifeguarding at water-based attractions. 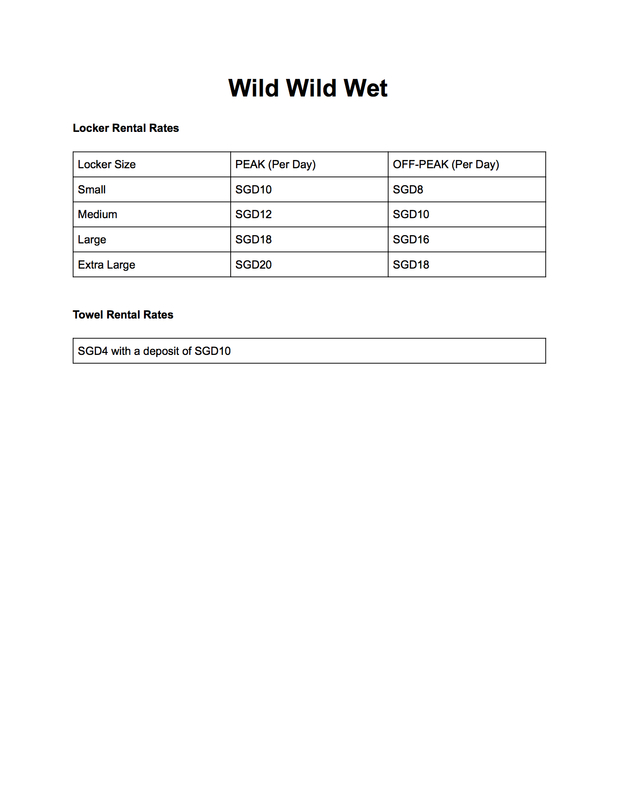 Wild Wild Wet has also won numerous accolades in Singapore for its facilities, service, safety, operations, quality, and more. 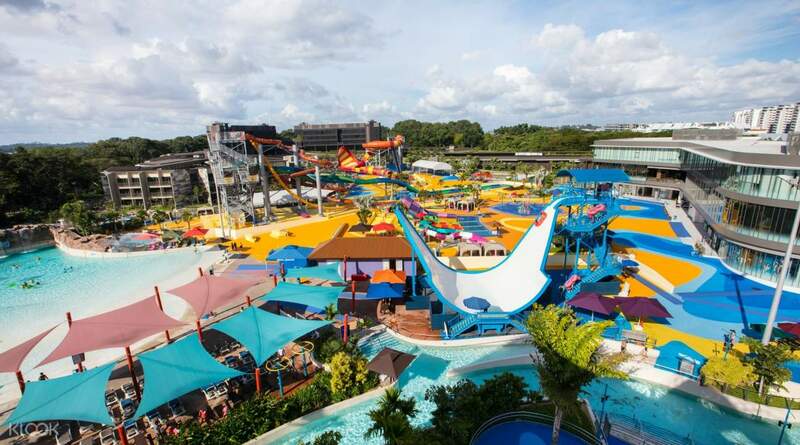 Don't leave any corner of the largest water park in Singapore unexplored! Challenge your companions at the Kraken Racer and see who'll get to the bottom first! It is a fantastic experience. There are a lot of things to play. The tsunami is the most enjoyable and amazing. My kid likes there very much as he doesn't want to leave. Using klook buying ticket, you need to redeem first. It is a fantastic experience. There are a lot of things to play. The tsunami is the most enjoyable and amazing. My kid likes there very much as he doesn't want to leave. Using klook buying ticket, you need to redeem first. Klook's Wild Wild Wet July package came at a most opportune time as I was searching for a different way to celebrate my birthday aside from the usual wine and dine. With the 1-for-1 promo, I was able to bring in more friends which meant double the fun. And indeed, we had our fun in the water, with skins darker but hearts lighter. Klook's Wild Wild Wet July package came at a most opportune time as I was searching for a different way to celebrate my birthday aside from the usual wine and dine. With the 1-for-1 promo, I was able to bring in more friends which meant double the fun. And indeed, we had our fun in the water, with skins darker but hearts lighter. Definitely a must try at singapore specially if you are in to heart pumping extreme activities. we got 2 tickets for the price of one. thanks to klook hassle free. Definitely a must try at singapore specially if you are in to heart pumping extreme activities. we got 2 tickets for the price of one. thanks to klook hassle free. Had lots of fun in this water adventure especially Torpedo and Vortex. Getting inside is of great ease with the ready vouchers from Klook. Thanks Klook. Had lots of fun in this water adventure especially Torpedo and Vortex. Getting inside is of great ease with the ready vouchers from Klook. Thanks Klook. 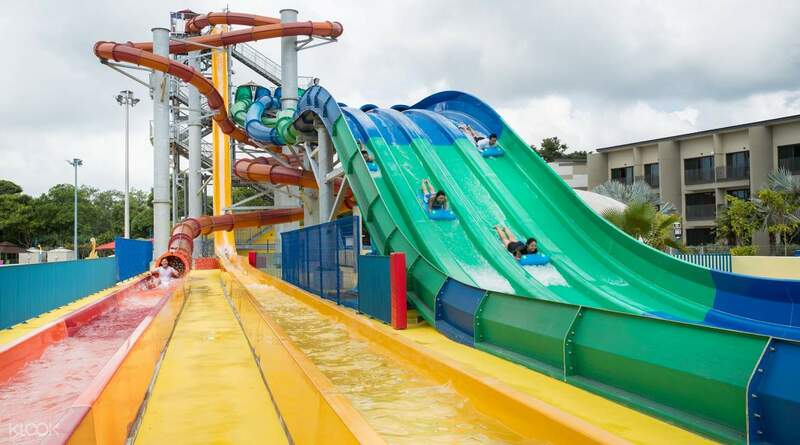 Wild wild wet is really nice and there are a lot of slides to choose from. They all look scary but fun! The kids pool is really good for the kids. Wild wild wet is really nice and there are a lot of slides to choose from. They all look scary but fun! The kids pool is really good for the kids. Excitement filled slides. Good for a day’s activity. Wave pool and slides all are good. Thrill rides and safe also. Suitable for kids and youngsters. Need lot of sunscreen as tanning is very high. Could have had other activities too than only slides. Excitement filled slides. Good for a day’s activity. Wave pool and slides all are good. Thrill rides and safe also. Suitable for kids and youngsters. Need lot of sunscreen as tanning is very high. Could have had other activities too than only slides. It is so convenient to book from Klook and without queuing up. The kids are having fun, this activity is suitable for adult and kids. I would recommend this places for family. It is so convenient to book from Klook and without queuing up. The kids are having fun, this activity is suitable for adult and kids. I would recommend this places for family. The swimming pool is nice and good. No need to bring food as they have food available in the area. The swimming pool is nice and good. No need to bring food as they have food available in the area.